For those who need a powerful and free graphic design alternative, Pixlr.com has a great deal to offer. Using a tool set and platform reminiscent of Photoshop, virtually anyone can create stunning images for their website. 1. No Registration Required – The Pixlr editor jumps immediately into the tool as soon as the link is clicked on the website. There is no registration process or free trials that you need to agree to. The tool is usable in mere seconds and offers a great deal of functionality to any start-up website developer. However, you can sign-up with the service in order to save your material to the Pixlr library and correctly link your social media information to images that your specific account produces. 2. File Types – Images created in Pixlr can be saved as jpg, png, bmp, tiff and pxd – the Pixlr supported image. These are the most common image types for website graphic designs, with the exception of the .pxd format, as these files are the layered images specifically used for developing. 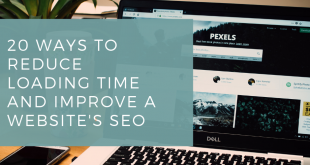 Users are able to save images that are up to 4000 x 4000 pixels in size, although you don’t want to use images of that resolution on your website. 3. Image Upload – Altering photographs and other images makes up a large portion of graphic design. Once you access the Pixlr.com website, you are provided with an option to: create a new image, open an image from your computer, open an image from a website URL, open an image from a specific library, or use Pixlr on your mobile device. In this aspect, you have more options available to you as opposed to other retail applications that are unable to connect to Cloud-based image sources in such a fashion. 4. Tools – Aside from the common tools such as crop, Pixlr is loaded with others tools to give you a great deal of functionality. The clone stamp tool allows you to set a point on an image in order to duplicate the selected area in another location. The gradient tool enables the designer to create a background of an image using one color to fade into another. A drawing tool allows one to create various shapes for specific needs. A variety of other professional tools can give your design an edge that simply cannot be accomplished in Windows Paint or other free methods. 5. Filters – A wide range of filters are accessible within Pixlr to give your images an additional artistic value. 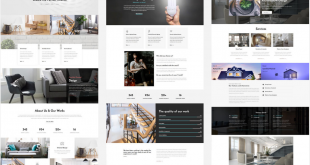 These filters include: kaleidoscope, pastels, heat map, night vision and many more to help you develop stunning website imagery for your project. Although there may be far more filters available in other retail applications, Pixlr is more developed for online specifics rather than printable applications. 6. Adjustments – Color adjustments are an important aspect of any graphic and photo editor. Using the tools available, you are able to scale specific colors and hues in order to create your desired effect. Desaturate, sepia, solarize and other features are available to further alter the aspect of an image. 7. Promotional Designs – When you are ready to save your image, you are given the option to promote your development across various social media platforms. This can be helpful for personal and business applications as it allows you to display your imagery to your followers on Facebook or those who access your Flickr and Picasa accounts regularly. Images can also be saved to the imm.io database of images or directly to Pixlr’s library. This is aside from the standard method of saving the image directly to your computer. 8. 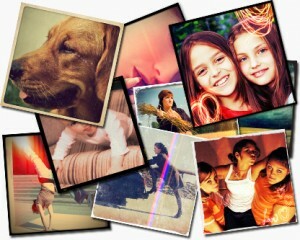 Mobility – Pixlr is available for most Android and iOS devices in order to allow you to alter images while on the move. Although these mobile apps lack the complete functionality of the web-based version, they are still loaded with exceptional tools to allow you to create amazing imagery for web use. 9. Support – Not only does Pixlr support 29 different languages, but the tool has a blog available that can help the most novice of developers create amazing online imagery. By explaining the tools and offering tutorials, this blog is loaded with information regarding the functionality of the application. For the start-up professional that doesn’t have a lot of money to put into tools, Pixlr is a great method to get your feet wet in the realm of graphic design. As it is akin to tools provided in software such as Photoshop, making the transition from one application to another doesn’t take much effort. For a free method to develop your website’s graphics, it may be worth your time to explore the possibilities of Pixlr. Ken Myers is the founder of http://www.longhornleads.com/ has learned over the years the importance of focusing on what the customer is looking for and literally serving it to them. He does not try to create a need, instead he tries to satisfy the existing demand for information on products and services.